Metaphors that make you go hmmmm. This is not a happy mental image. 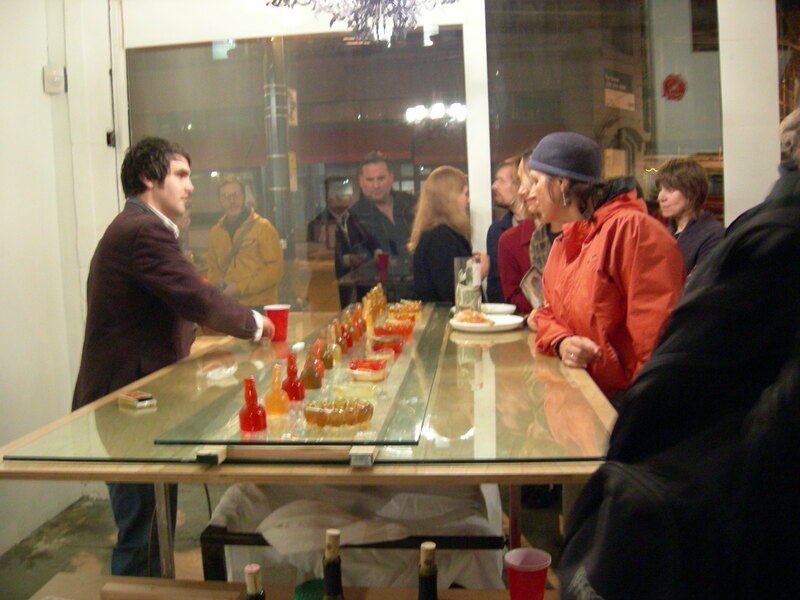 Image: Erich Ginder serving moulded jello shots at opening of his gallery show. Photograph by Joe Mabel, 4 January 2007. If Einstein were to speculate on the behavior of a donut in free fall in one’s mug of coffee, would it be a gedunkenexperiment? 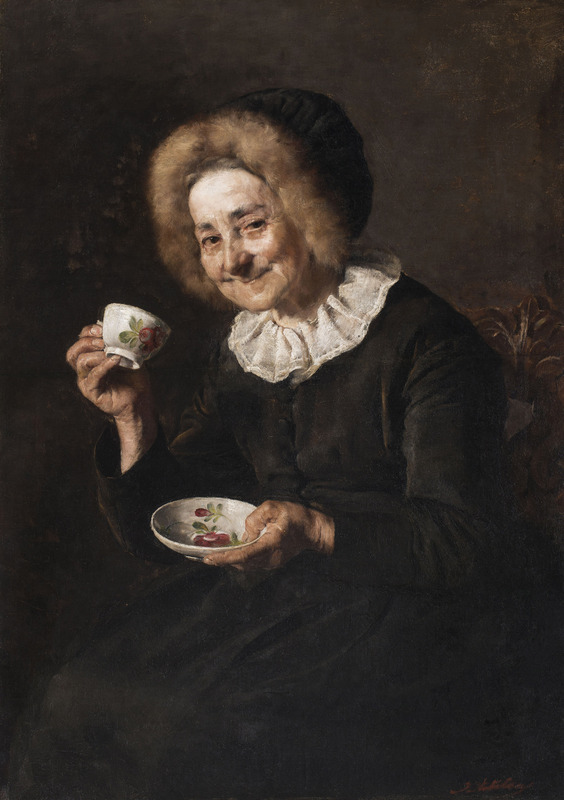 Image: Ivana Kobilca (1861-1926): Kofetarica (Coffee drinker) 1888. Because no benevolent deity would permit Glenn Beck. Image: Leda and the Swan, a 16th century copy after a lost painting by Michelangelo, 1530. Self Promotion: Really, really good wine dept. My friend Abel Pharmboy, host and voice of Terra Sigillata, has just done me the honor of posting an old piece of mine about drinking a legendary wine — Chateau d’Yquem — for the first time. I wrote I don’t know how many years ago for an airline magazine now long since evansesced. It’s fun, and if you like reading about conspicuous (and delicious) consumption, go for it. And while you’re there — if you haven’t checked out the serious stuff that Abel deals with when not thinking about cost-efficient ways to pay homage to Bacchus, dive into the real meat of his blog. 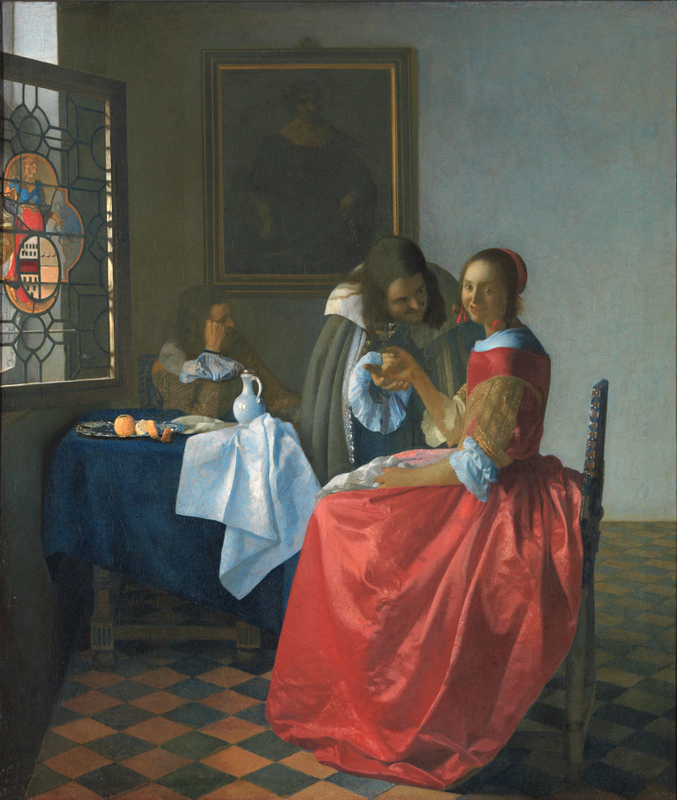 Image: Jan Vermeer van Delft, “Girl with a Wine Glass” 1610. Memo to self: the internet is not in and of itself a source. Somehow, somewhere, William Randolph Hearst is smiling. What Darwin Said/Wrote on His 50th Birthday. Happy Birthday, Charles! A day or two — or four late. With that out of the way, what happened on the great day? Not quite now, nor then, not 200 years ago, but rather, on Feb. 12, 1859, the day Darwin turned fifty? That birthday, of course, came nine months before he published the book that is the reason for the odd bit of hullabaloo you may have noticed around the web (and bricks-and-mortar “reality”) as well. The answer, from Charles’ perspective? …and the reason for Darwin’s discomfort? That same, dominating, seemingly terrifying book. 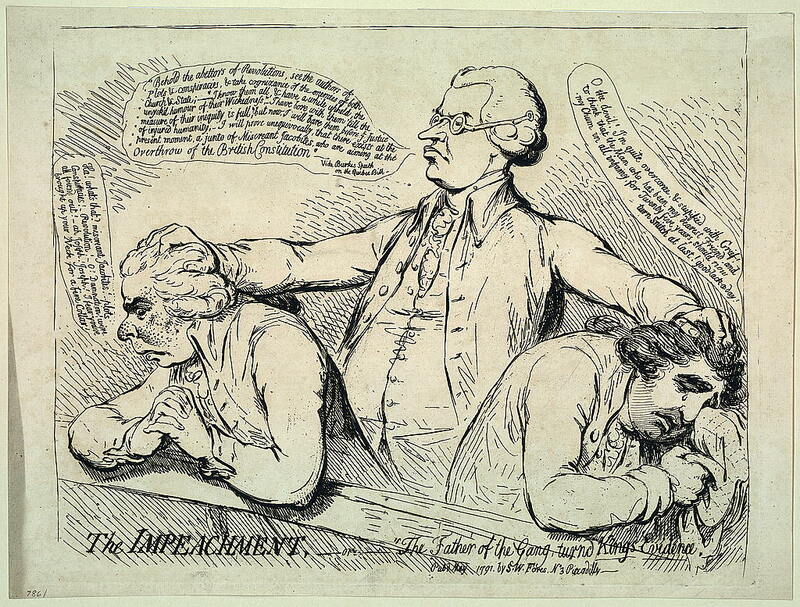 I have been extra bad of late, with the old severe vomiting rather often & much distressing swimming of the head. Now, as Darwin points out, this is an old complaint, a re-eruption of the distressing symptoms that he had first experienced in Chile during the voyage of the Beagle. As such, this is mere incident, part of the fabric of a life often lived in great discomfort. But with Darwin, it never does to ignore the mind-body connection. Consider the sequence: on 18 June, 1858, Darwin received the famous parcel from Alfred Russel Wallace, naturalizing in the Malay archipelago (now Indonesia), which included the younger man’s sketch of a theory that described the mutability of species through a selection mechanism very close to Darwin’s own ideas about natural selection. Darwin had some hints of Wallace’s interests before, both through Wallace’s published work and in correspondence between the two, but this, coming in the midst of his own attempt to distill a the work of a decade and more into a write up on the species problem, came as a terrible blow. At first reading, this line plays to those who retail the conventional account of Darwin as deeply fearful of the dreadful secrets he was about to reveal in The Origin. It’s easy to leap to the conclusion that the man who wrote of confessing to a murder early on in his consideration of the species problem might break under the stress of going public with his conclusions. And it is true that Darwin did play his cards close to his vest for years, and that he was determined, at the least, not to go widely public with his thinking until he felt his arguments were ironclad. The Benchuca bug is the insect carrier of Chagas disease, and the fact that this illness produces many of the symptoms that Darwin endured, plus this gold-standard report of encountering its vector persuaded a number of high profile Darwinists to entertain the suggestion after it was proposed in 1959 by Dr. Saul Adler, a tropical medicine specialist. Among them — Ernst Mayr, writing in the introduction to the Harvard University Press facsimile of the first edition of The Origin of Species I’m using for this project. There are, though, serious problems with the diagnosis, not least that Darwin lived a long life characterized by a lessening of the symptoms that seemed to strike at moments of greatest stress with remarkable regularity. Writing more recently than Mayr, many Darwin experts have come to see the search for a specific point-source of Darwin’s illness to be a mug’s game. Here is Janet Browne on the subject in Charles Darwin: Voyaging. ...he only recorded being bitten by benchucas some months after this illness [his collapse on the way from Santiago to Valparaiso in 1834]…and that incident was not followed by any of the fever typical of sleeping sickness [Chagas] infections…Chagas disease was endemic in Chile and the characteristic symptoms of infection…would not have gone unremarked…Yet there was no serious sugggestion that a South American disease could be to blame [for Darwin’s post-Beagle illnesses], although once or twice in extreme old age Darwin attributed his breakdown in health to this Valparaiso attack. (Voyaging, pp. 279-280). In the end, without exhuming Darwin and being fortunate enough to retrieve enough biological material to run retrospective diagnostics, it is likely that the question of exactly what laid Darwin low on his fiftieth birthday (and all the other times) will remain unsolvable in any absolute sense. There doesn’t even have to be a single cause, nor an exclusively physical or psychological account. Still, it is important to pay attention to what Darwin himself tells us. No man or woman may be a perfect witness to their own state of being, but at least Charles was first on the scene. He knew, or thought he did, what ailed him: his abstract was making him sick. But for all the evidence — and there is plenty — of Darwin’s doubts and even genuine fear of public ridicule or worse in the 1840s, it does not follow that Darwin in the late 1850s, already working on his much longer version of the story he compressed within The Origin of Species, was vomiting up terror at his presumption. It is always a risky game to psychoanalyze from a distance. But we do have direct testimony here: when pressed, not by disapproving public opinion but by the threat of professional eclipse, Darwin turned out to be eager, even swift to write up his ideas for as wide an audience as he could reach. It seems to me that Darwin himself gives us a simpler explanation for his manuscript’s role in his illness. In essence, he had been working too hard. This does not sound to me like a man cowering before the enormity of what he was about to do. This is someone who, when not retching into the bucket by his bed, is getting used to the scale of his achievement. You go, Charles. Happy 200th, yet again. 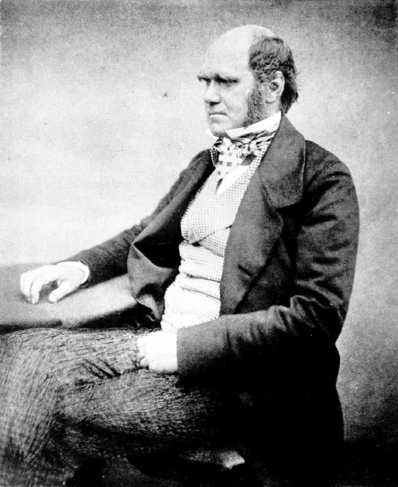 Images: Charles Darwin at 51. According to the son of Charles Darwin, Francis Darwin, this portait is by Messrs. Maull and Fox, ; he writes that “the date of the photograph is probably 1854; it is, however, impossible to be certain on this point, the books of Messrs. Maull and Fox having been destroyed by fire.” Other sources date the photograph from 1859 or 1860. 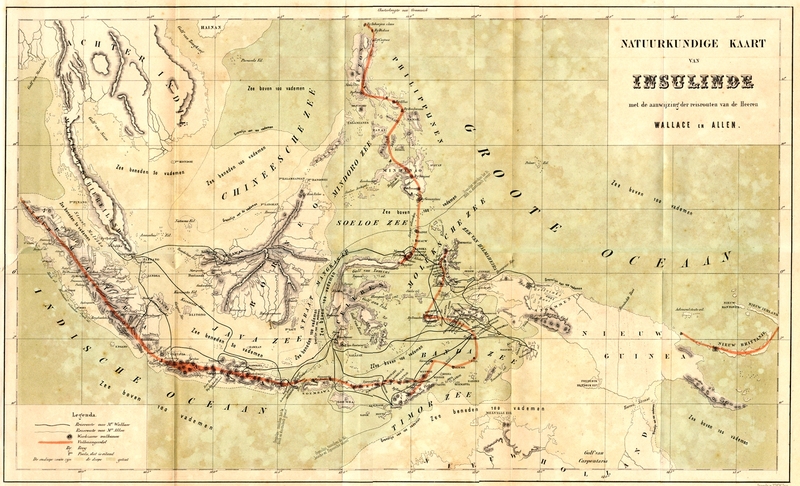 Map of Alfred Russell Wallace’s travels from his book The Malay Archipelago, 1869.